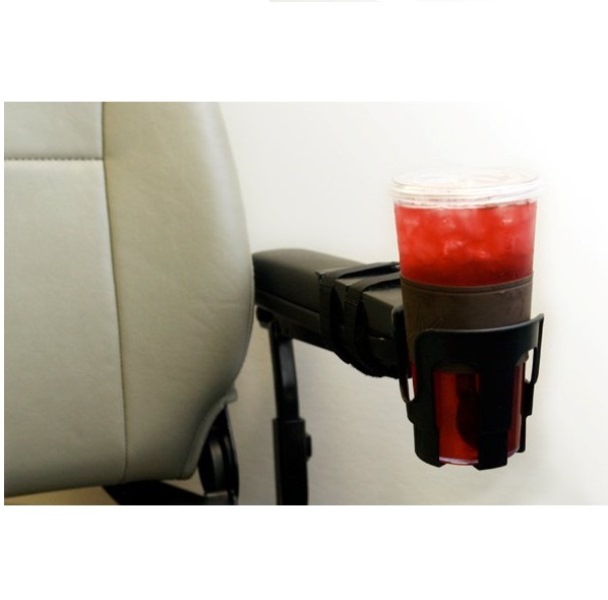 The OH Cupholder that's Nearly Universal is an easy to attach and remove holder for arm rests. 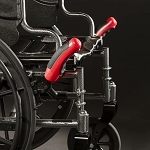 The unique design allows the holder to securely fit a variety of different armrest sizes and shapes. The OH Cupholder that's Nearly Universal has worked with wheelchairs, power chairs, vehicle seats, stadium armrests, even airline armrests. 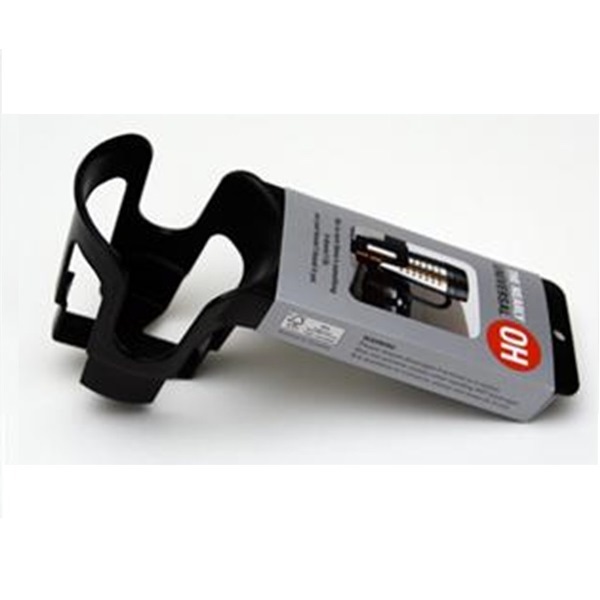 This "nearly" universal cup holder attaches simply with velcro straps which are included. First, feed straps through the cup holder with the hook/loop side facing outward. Then, wrap straps around and under armrest, back through the slots, and secure the straps down tightly. For a sturdier fit, apply the included foam pads to the underside of the cup holder. This lightweight, durable cup holder will accommodate many different shapes and sizes of cups and mugs with or without handles. 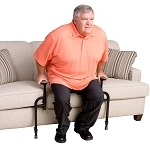 Wheelchair, power chair, or motorized scooter users often find it challenging to hold a cup while maneuvering their chair. 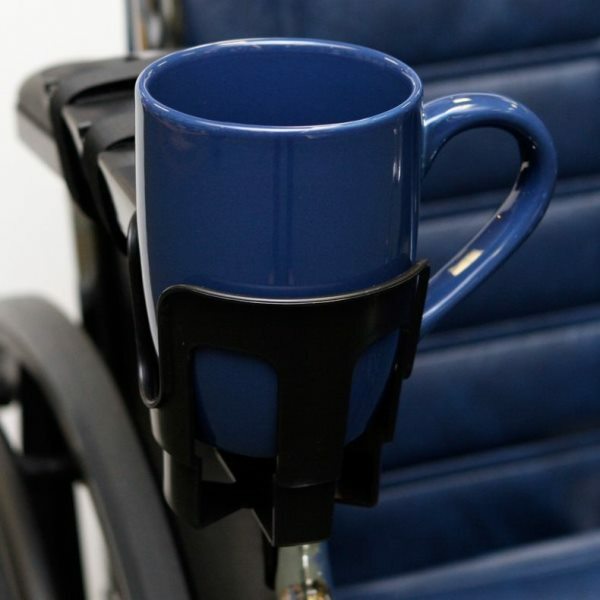 With The OH Cupholder that's Nearly Universal, users can steer their chair and not worry about spills. Measures: Overall 9 inches long, 3.5 inches wide, 4 inches high. Cupholder tapers from 2.5 inch diameter at bottom to 3.5 inch diameter at top and is 3.5 inches high. 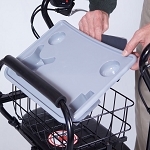 I have to admit I thought your almost universal cup holder was overpriced, but I needed one for my motorized wheelchair. It is worth every penny because it is nearly indestructible. It holds big cups of coffee little cups of anything and a 12 ounce adult beverage with ease. I have abused it by catching door frames and smashing into stuff that I was pushing with my chair. 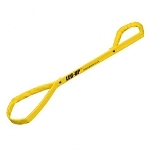 I have used it to carry tools like power drills and hammers and it still holds it's shape. If I ever manage to break it , I will buy another one, guaranteed. Good produce and congratulations for a job well done. This is my fourth cup holder I've had and if I need another one I wouldn't have another kind. This Cup Holder fits perfectly on my electric Wherlchair and makes it very convenient to carry a drunk with me, where ever I go. I have been using this tyle of cul holder for years and am extremely happy and satisfied with it, as a matter of fact, I just placed an order for another today! The handiest item I've bought in years....It fits snugly on my mobility chair arm rest and holds my drinks securely. Good so far. Much easier to get around with a cup of coffee! Q: Will this hold a Yeti 32 oz mug ? A: Although a 32 oz mug would fit, the largest we recommend is 24 oz. Q: Can you buy new straps for the cup holder? 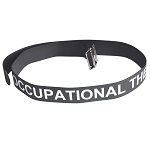 A: The manufacturer does not offer replacement straps. 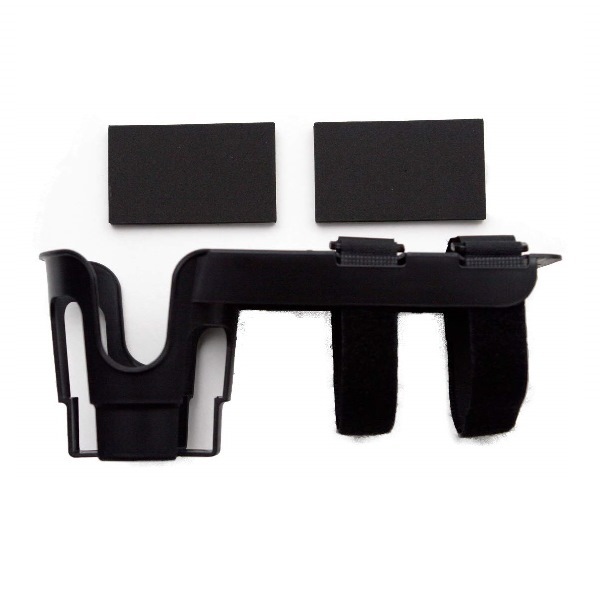 However, the straps are simple Velcro straps, you should be able to find strips of Velcro that you can cut to size at various big box or hobby stores. 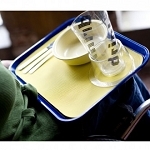 Q: My powerchair arm rest is 4 1/4 inches wide Will the OH cup holder work with my chair? A: Unfortunately no, the OH Cupholder is 3.5 inches wide. 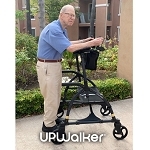 Q: I have a Hoveround MPV5 . I bought a cane holder that is attached to the front of the left armrest with a screw, so it will not fit any where else. I want to know if the cup holder can be fastened any where else. I really need both. Q: How many ounces will the cup holder support? A: A 24oz cup is probably as large as it could handle well. 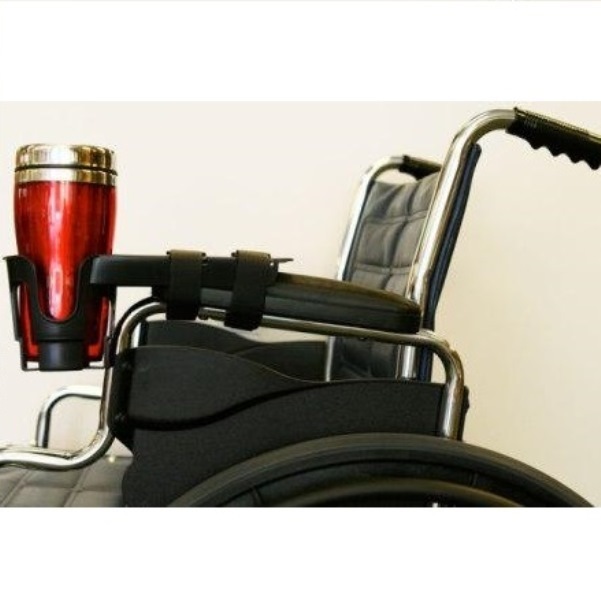 Q: Are these cup holders suitable for wheelchairs with narrow armrests? A: Yes, you would need to use the supplied foam pads to get the fit snug though. You could probably even wrap a rag around the armrest to get a better fit. 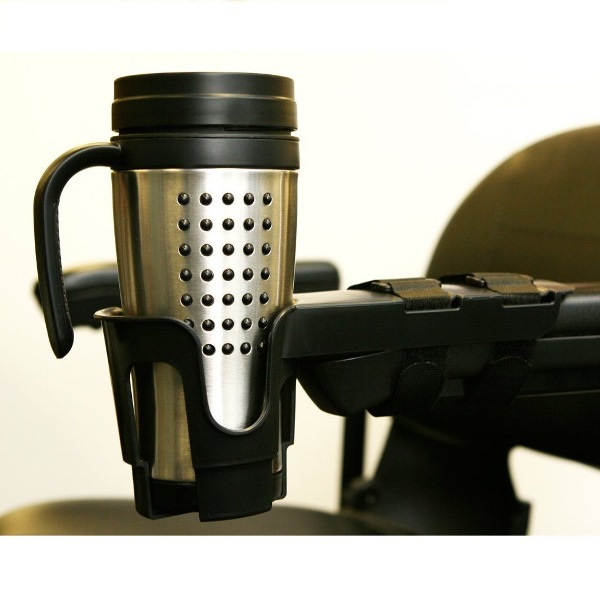 Q: I have a stand up wheelchair from NuMotion, will this cup holder fit on it? 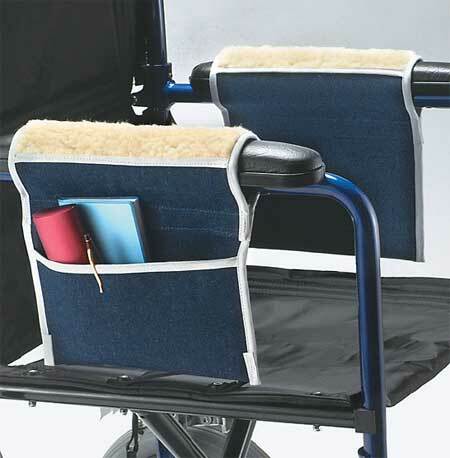 A: As long as there are armrests on the wheelchair the The OH Cupholder should work.